Wash radishes well, cutting off the greens and the root end, do not peel. Slice to about 1/8 inch thick. Add meat drippings and oil to skillet and heat until sizzling on medium high. Add sliced radishes spreading out evenly in skillet. Season with salt, cover with lid and let fry for about 3 minutes. Then turn radishes and stir spreading out evenly. Let fry covered, another 3-4 minutes until edges are starting to get crisp and centers are soft. Remove from heat and serve. Enjoy! In medium size mixing bowl mix shredded squash and salt. Let set while you beat eggs and water together and cut up the onion. ( The salt will help bring out the moister in the squash) Then add eggs, water, onion and corn meal. Stir until corn bread mix is wet and well incorporated. Pour oil into 10 inch skillet and heat on high. When oil is hot drop squash batter by spoonful’s into oil and fry fritters 3- 4 minutes on each side or until golden brown. Remove from pan and drain on paper towels. Serve while warm and crispy! Variations: Add chopped jalapenos’ or minced garlic. 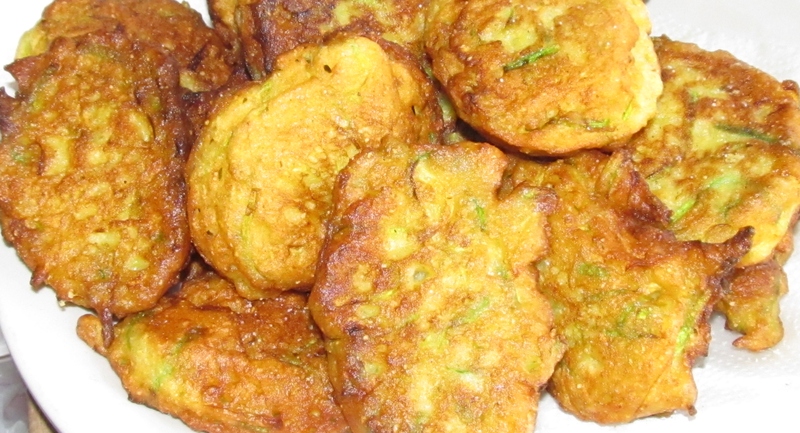 Change out the squash for fresh cut or frozen corn (drained) to make corn fritters. Butter a 9x 13 inch foil pan, or you can make a pan out of foil, but be sure and double layer it. Wash and slice the squash and onions into 1/4 inch slices, then break apart Broccoli florets and place in pan. Drizzle oil over veggies and toss to coat. Then sprinkle seasoning salt, sea salt and garlic powder over veggies. Cover loosely with foil and place on grill. Close lid and let veggies stem for about 10 minutes. Raise lid and uncover veggies and toss them using a long spatula. If you want grill marks on some of the veggies take out a few of the squash slices and broccoli florets with tongs and place on a well oiled grill grate. Let them brown only for a minute or two, then return veggies to pan. Close lid on grill and cook for another 15- 20 minutes or until veggies are fork tender. Serve warm. 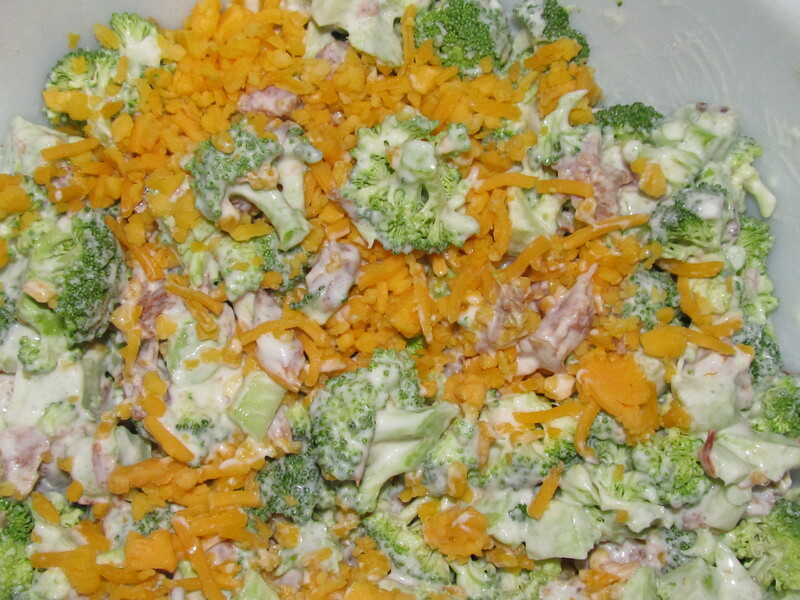 In mixing bowl combine broccoli, ham and pineapple. In small bowl whisk together mayo, yogurt, and sugar. Pour over broccoli mixture, blending well. Top with cheese and serve. I like to add a few Gluten Free Croutons. This is a favorite at pot luck diners. Enough oil to deep fry fritters. Variations: Add garlic powder, or chopped onions for a different taste. Okra fritters are also great for dipping!